Key Features: Patented PillarLock system protects firearm, Thick wall construction. Additional Features: Comfortable molded-in handle, Lockable/airline approved. 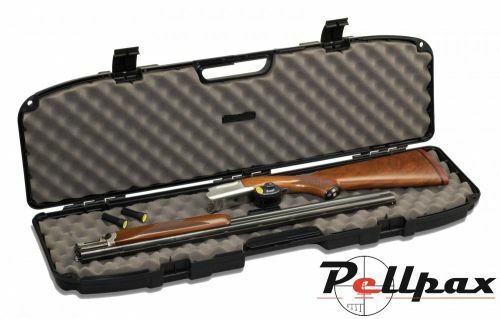 This Pro-Max case if fitted for take-down firearms and utilises the patented PillarLock¨ which adds superior crush-resistant strength to each case. Thick walled construction, heavy-duty latches, molded-in handles and padlock tabs round out their features.